If you have ever wanted to see your name on the ice and support your favourite player, well now is your chance. By “owning and loaning” a shirt your name will feature on the back of your favourite player’s match night shirt and at the end of the season it is yours to keep. 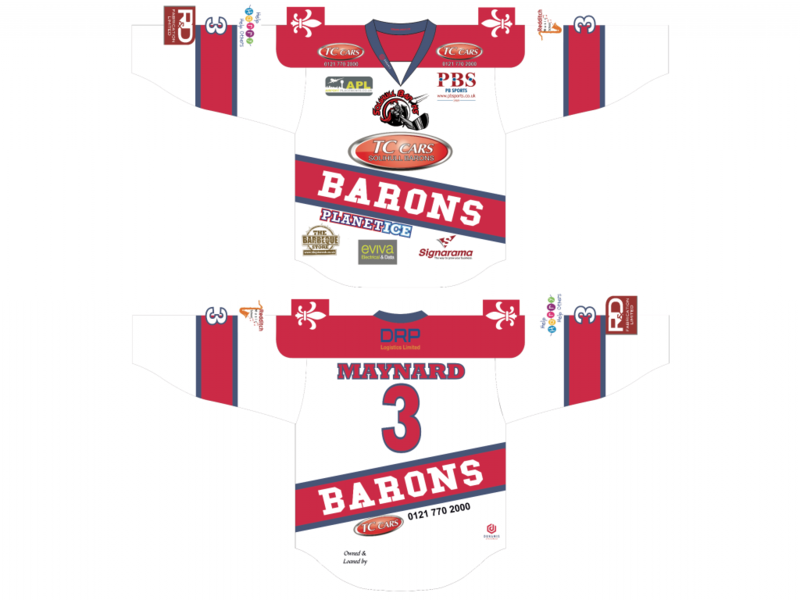 Alternatively if you want to show your support from rink side in one of this season’s shirts you can order a custom replica with your choice of name and number. 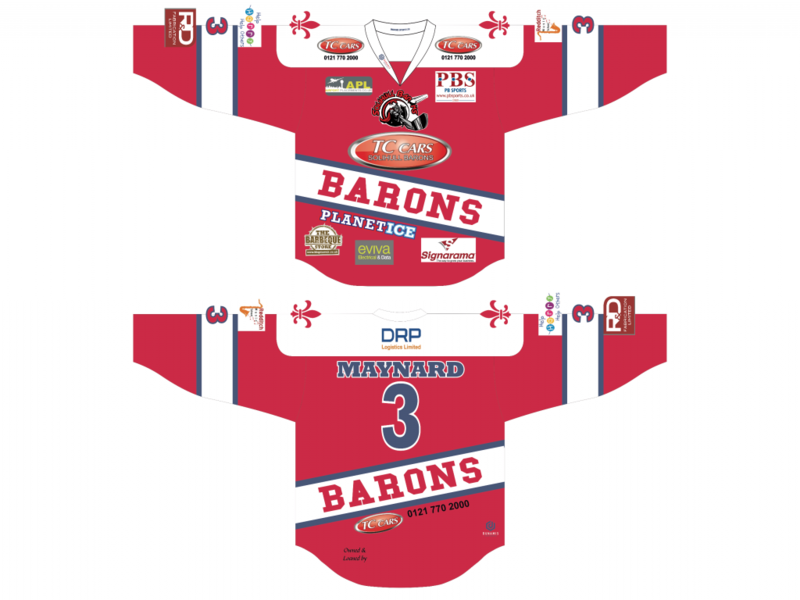 For the upcoming EIHA Moralee season, teams will not be playing in home and away shirts in the traditional sense. 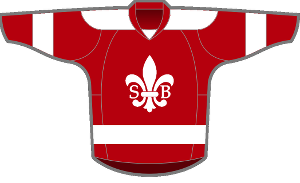 The Barons will play the first half of the season at home in their white shirts with red away, with the reverse true for the second half of the season. Contact info@pbsports.co.uk to order yours !